One of the best things about going to Vegas was getting to meet some of my blogging/TpT friends in real life! 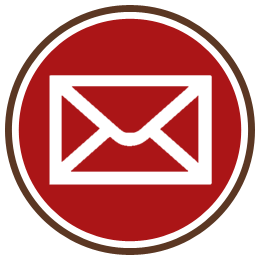 We often collaborate and email each other and along the way become great friends. 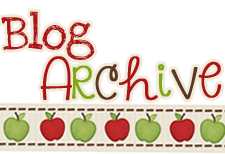 One of the people that I got to meet this year in Vegas was Nichole who blogs at The Craft of Teaching. 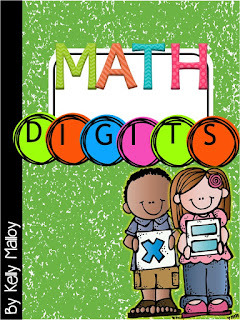 You can find her store, The Craft of Teaching on TpT here. While we were in Vegas we talked about a few of our products, and we decided to do a swap. 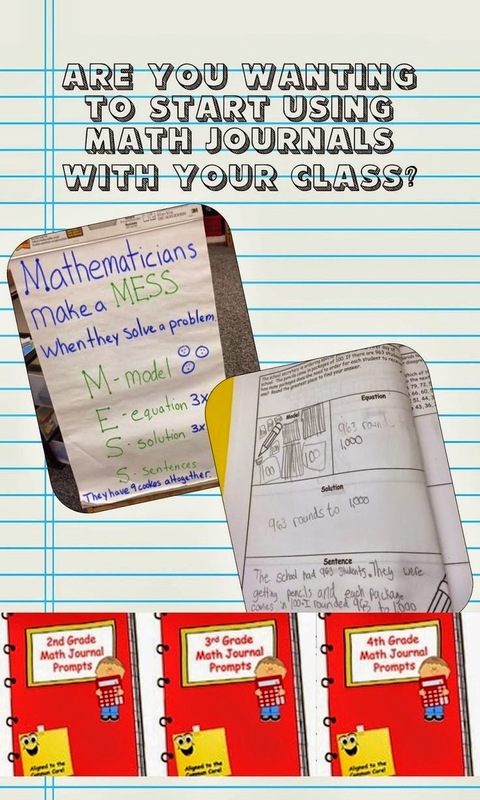 I tried out her Questions to Encourage Mathematical Thinking Posters, and she tried out my Math Journals for 5th grade. For this swap, I am blogging about her product, she is blogging about mine, AND you have the opportunity to win them both along with a $10 TpT card! 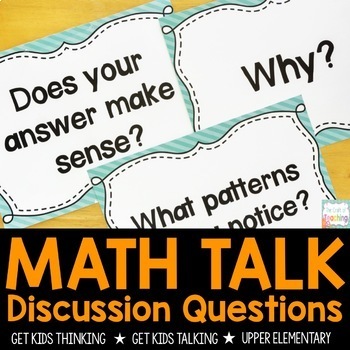 Do you ever find yourself struggling to ask students just the right math questions to get them thinking WITHOUT giving them the answer or telling them how to solve it? 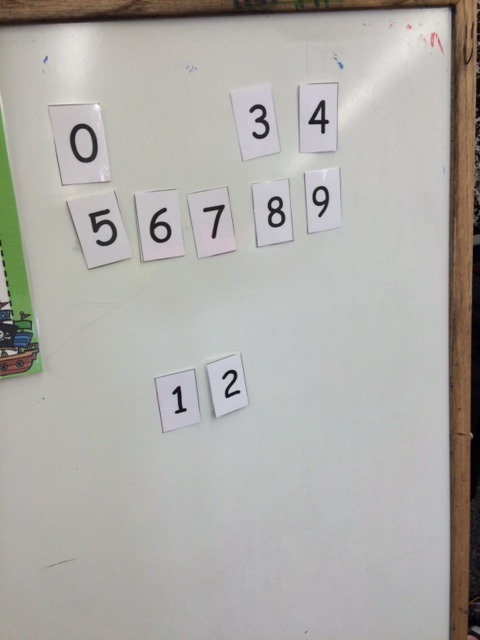 Nichole has solved that problem with her questions to encourage mathematical thinking product. I absolutely love that she has included both the posters for the wall and the small task card size ones! 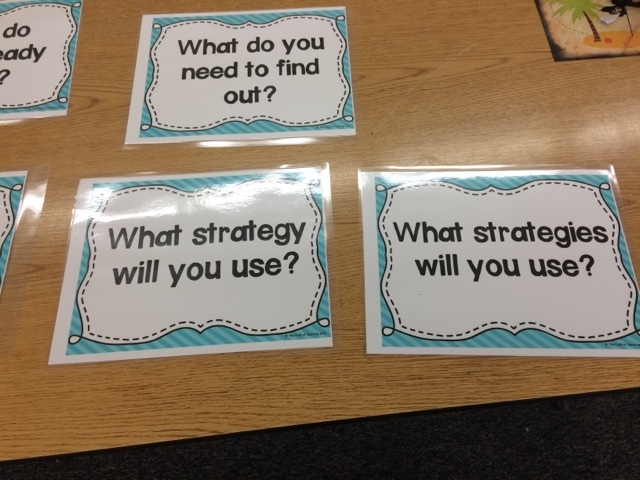 I have the posters hanging on the wall that I can point to while teaching lessons, and I keep a set with me as I conference with students and work in small groups. 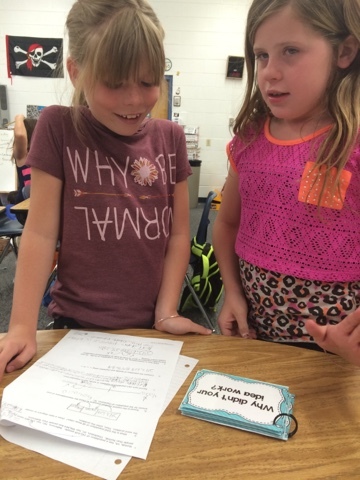 I have also given them to my students to help them coach each other. 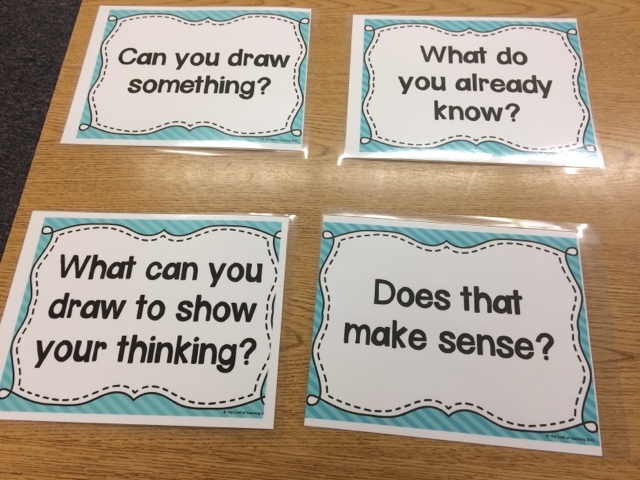 After using them for a few weeks, I have been amazed at how my students have started automatically using these questions not only with each other, but also in their written and verbal responses. 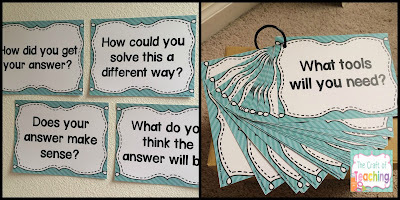 They are now saying things like "I know my answer makes sense because.." or "I solved this problem a different way by ..."
If you would like to try out this product for yourself, you can find it here, or enter to win using the Rafflecoptor below. We are selecting two winners! 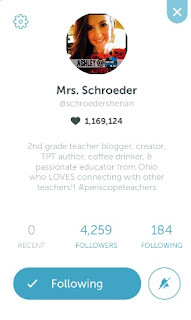 When I went to the TpT conference this summer, everyone was raving about Periscope. At the time, I kind of brushed it off wondering if it might be the newest "fad" thing kind of like Tsu and other social media applications. I didn't really give it much thought honestly. Fast forward to later this summer when I got an email from Kelli Alaina﻿ who I have been "friends" with on Facebook and Twitter for some time. She asked me if I might be interested in being interviewed via Periscope about my 5 tips for teaching math. I agreed, but then had to quickly figure out how to download the app and check it out a bit. I am SOOOOO GLAD that I did! One month later, and I am literally a Periscope addict! 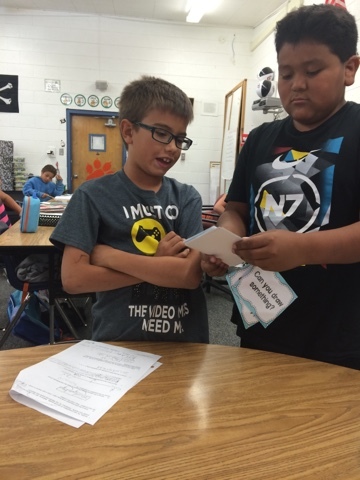 I have followed some amazing teacher friends and I LOVE getting a glimpse into their classroom! It is almost like being able to observe a colleague without having to get a sub! 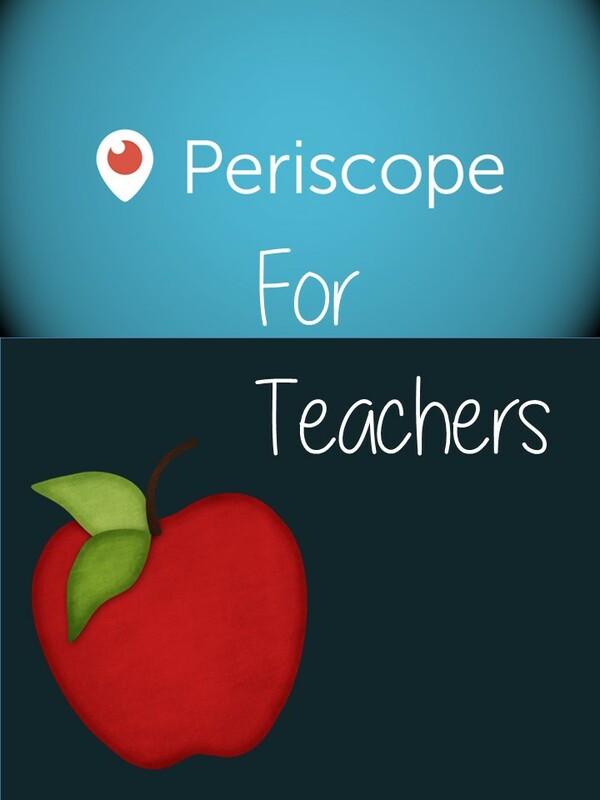 I have even broadcast my own scopes with ideas that I use in my classroom. If you haven't joined yet, what are you waiting for? 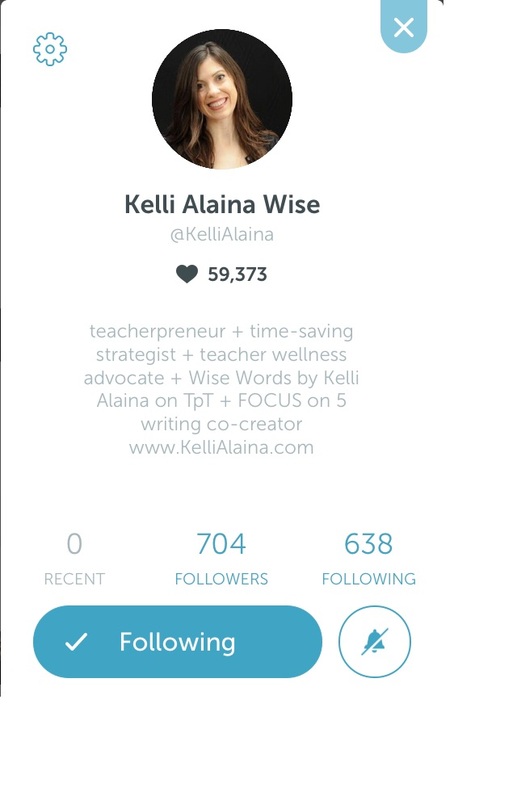 Periscope is a live streaming app from Twitter that allows you to share and view live video broadcasts right from your phone! I love the fact that I can see all of my favorite educator live on the screen! I get a glimpse of their classrooms, learn new strategies and ideas, ask them questions, and even get a peek into their personal lives! I love seeing everyone's fun sides full of kiddos who interrupt them or weird addictions to Batman. 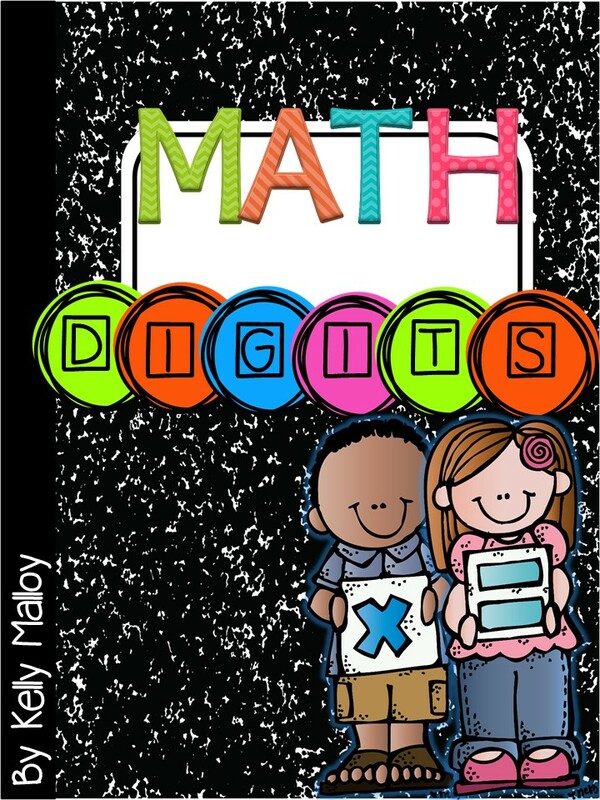 I keep a notebook by my side as I watch and take massive notes full of ideas that I can implement in my classroom the next day! 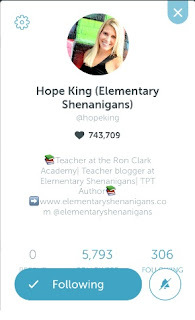 You can watch scopes live in real-time or as a replay with the one caveat - you only have 24 hours to watch it before it is gone. Some periscopers save their scopes to Katch or YouTube. While you are watching live, you can comment, ask questions, or just show the broadcaster some love by tapping the screen and making hearts run up the screen... When you watch the replay you can't comment, but you can still heart it up so that the broadcaster knows you like what you see. Getting Started - Who Should I Follow? Here are a few accounts that I think you should follow on Periscope based on the scopes I have watched. OK, ok, I may be a little bit biased here, but I have to self-promote right? LOL! 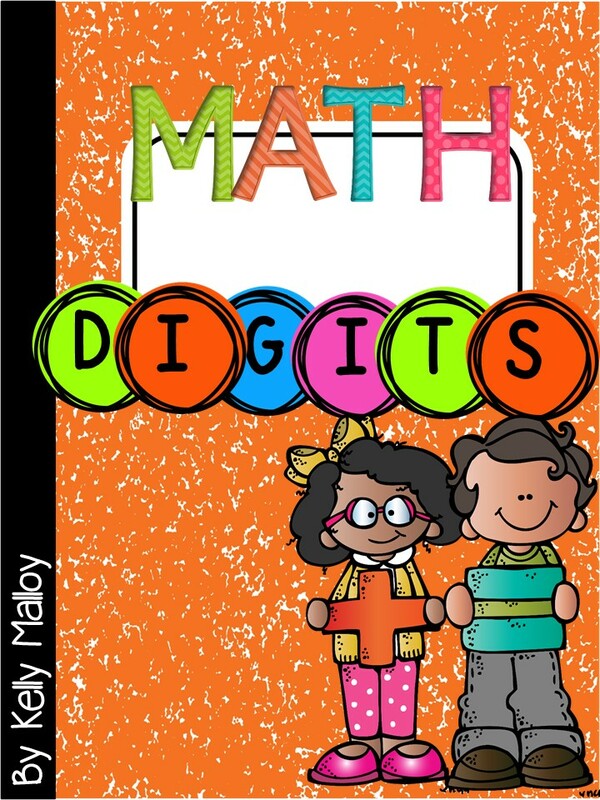 If you like following my blog, I am sure you will find my scopes helpful as well.﻿ I share math games, teaching strategies, differentiation strategies, classroom management, and more! I upload my scopes to YouTube, so you can watch them at anytime. You can also watch them on Katch.com here. Here is my most recent scope. 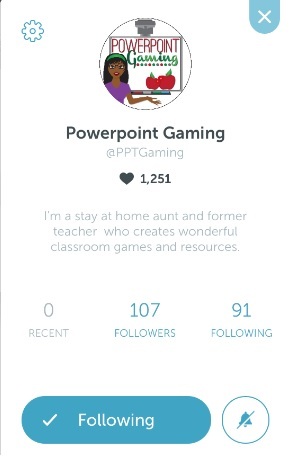 Since she is the one who got me started on Periscope, I have to give her the second spot here. 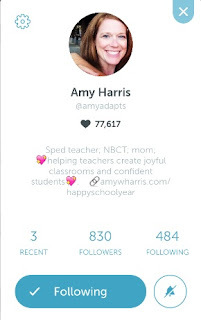 She is AMAZING at connecting teachers on Periscope to one another, so she is a great person to follow. She is a former teacher who is currently out on maternity leave with her 3rd son. Any mom of boys is amazing right?! 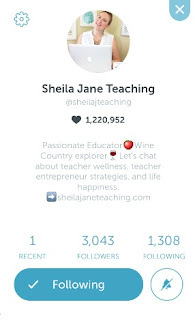 She shares teaching ideas along with a great mix of social media advice, so if you are a teacherpreneur yourself, you will want to follow. 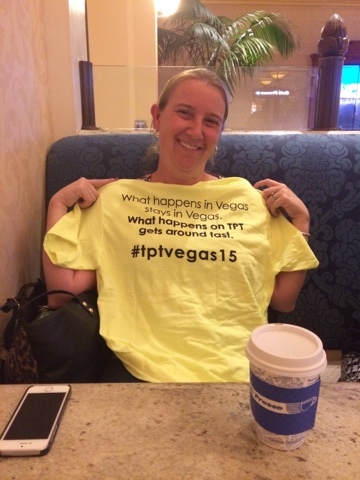 Jessica is a fellow Nevadan teacher on TpT! She lives in an even smaller town then me, and the wi-fi bars are hard to find, so she broadcasts from her truck wherever she can get reception. Often this is her local Wal-Mart. I think she will be forever tied to Wal-Mart and BatMan in my brain! Not only does she offer teacher tips, but she is HILARIOUS! And yes, I am shouting, but she is just plain funny! If you are ever in need of a pick me up, catch her scopes and be prepared to be instantly perked up. And.... if you spit your soda out of your mouth while you are watching, don't blame me, because I warned you! 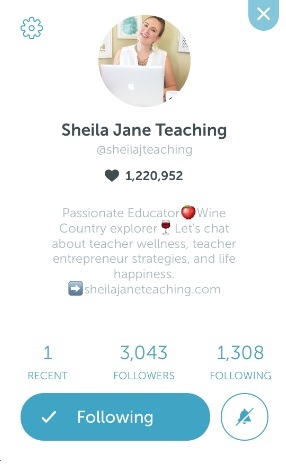 Sheila Jane also has a list of teachers to follow on Periscope here. *Search the hashtags #teachertribe and #periscopeteachers on Twitter. * Look through your favorite teachers' follow lists. 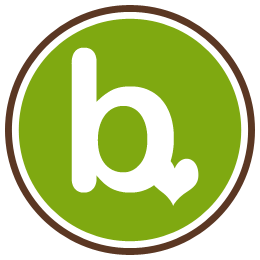 I absolutely love this app and I hope you will join me! Leave your user name in the comments below and I will follow you! Also, be sure to comment with anyone else I should be following! 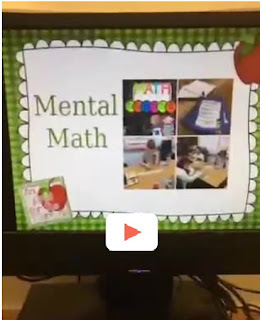 Brynn teaches first grade and often shares lots of great teaching ideas and games. 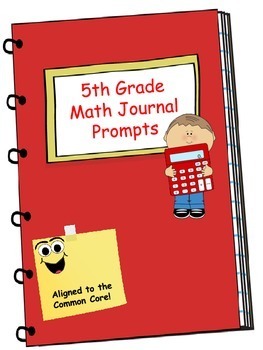 Her most recent scope was about getting your students to write more in their journals. 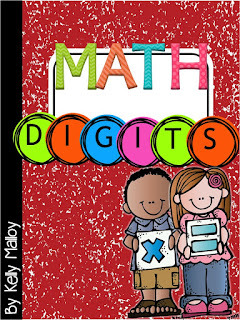 Amy is a special ed teacher. 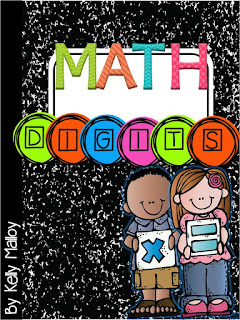 During her scopes she shares not only lots of ideas for differentiation, but also inspirational things and lettering tutorials. Her lettering tutorials have inspired me to take up a new hobby. Can't wait to see my anchor charts after a few more of her tutorials! Chandra has been an online friend for awhile now and I was finally able to meet her in real life this summer in Vegas during the TpT conference. I was excited to see her scoping too! 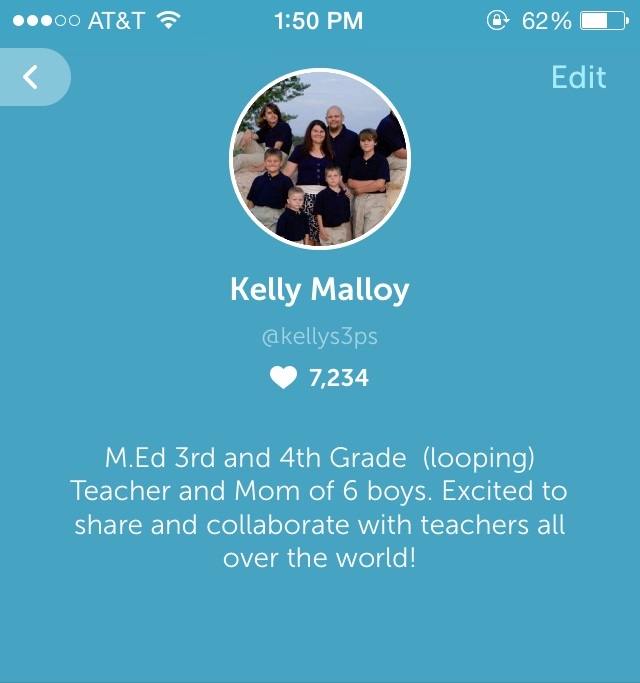 She shares lots of techy and PowerPoint tips during her scopes. She is also amazingly organized, so I am hoping that she will share a bit of her tips in that area as well too! Sheila Jane is just plain awesome! 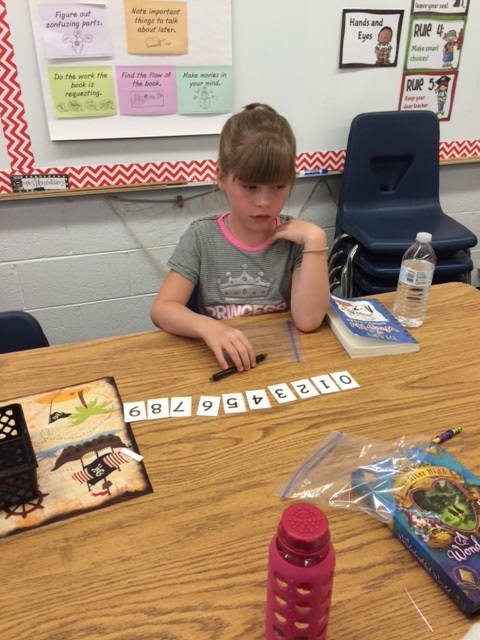 She is all about teacher happiness. What is not to love about that? She shares not only positive messages, but also ideas for keeping stress free - again what is there not to love about that? Hope is a sixth grade teacher at the Ron Clark Academy and she always has AMAZING ideas for engaging your students in their learning. She has so much passion and energy you can't help but finish her scopes ready to take on the world. And speaking of the Ron Clark Academy, you will also want to follow the founders @ronclarkacademy and @kimbearden. 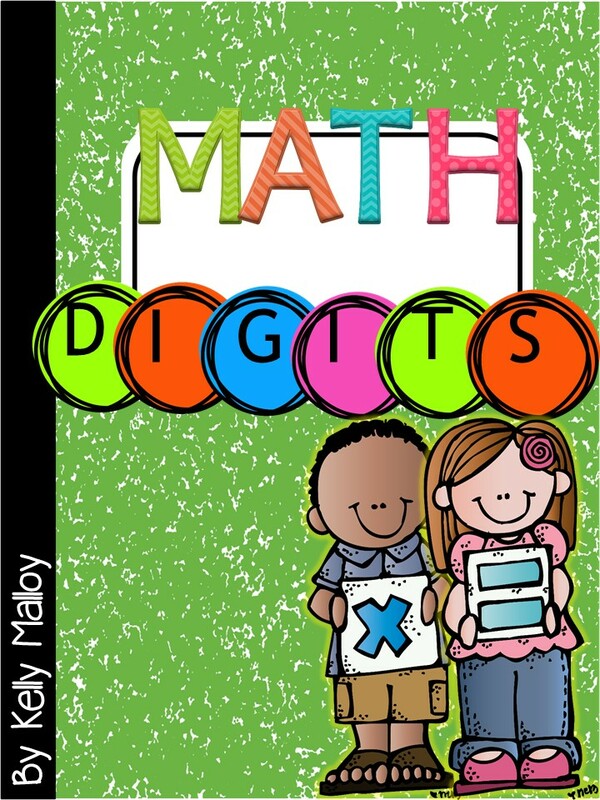 Ashley is a 2nd grade teacher who shares TONS of ideas and PowerPoint tutorials. 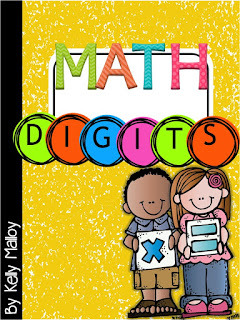 She is another bundle of energy who gets you pumped to bring exciting things into your classroom. 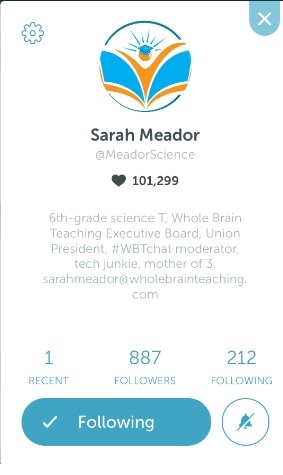 Sarah is a 6th grade science teacher who also happens to be on the Executive Board for Whole Brain Teaching. She has shared tons of ideas for using Whole Brain Teaching from lesson planning, to gestures to more! 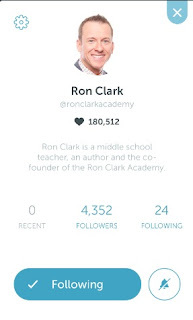 Are you on Periscope yet? Who do you follow? Leave a comment below with your user name so I can follow you as well! Do your students need to build mental math skills, including rounding, estimating and fact fluency? I am constantly on the lookout for ways to increase my students computational fluency, and with many of my students, the more hands on, the better. I created these mental math cards to help my students practice their listening, problem solving, and computational skills. 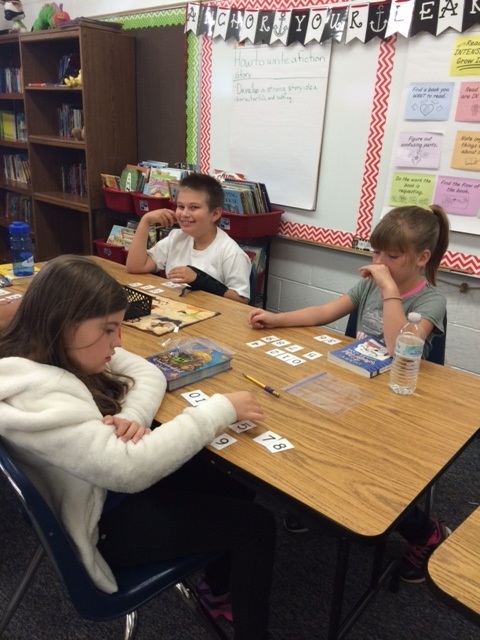 We have been using them everyday this week and they are fast becoming a class favorite! 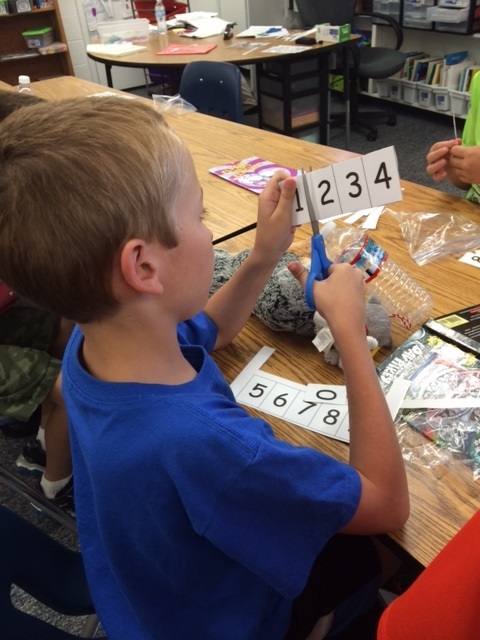 I printed out digit cards (0-9) for each of my students, and then put them to work cutting. 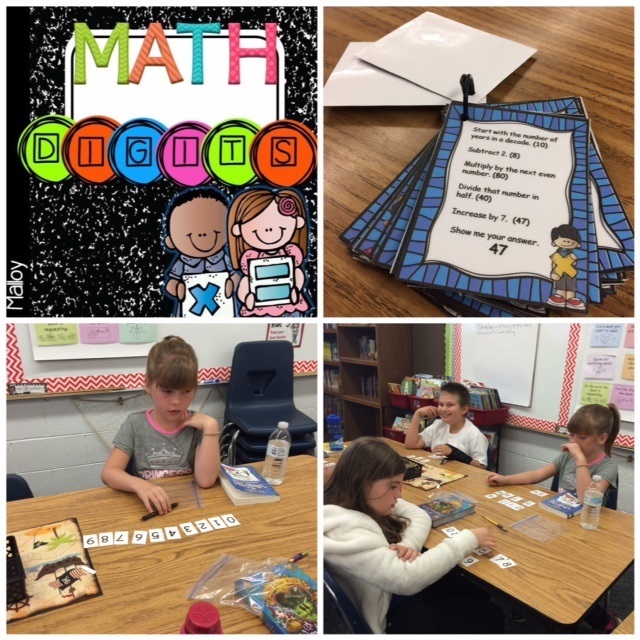 At the beginning of my teaching career I did a lot more cutting and getting supplies ready in advance. Now, I put them to work. As an extra bonus, it gives them something to do as I pass out supplies. 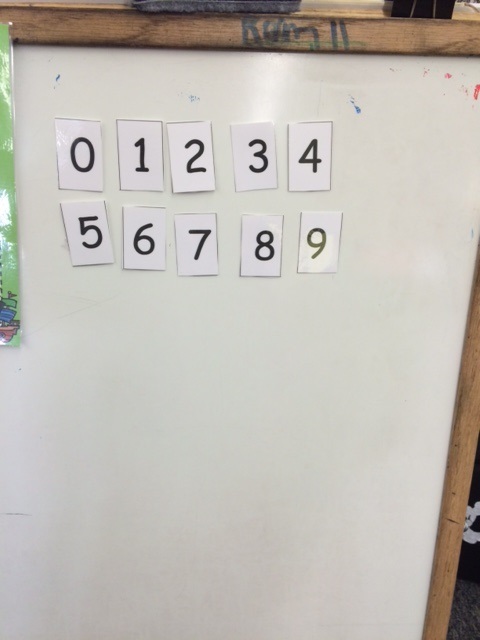 The students then set out their digits across their desk. They each seemed to pick their own system. Then, I started reading the clues. And, I am not going to lie, many of them were confused! So, I broke out plan B and had them come to the carpet for a quick demo. If you decide to do this with your class, I would suggest using the demo first. Just a little tip! I just did a quick demo with scotch tape on some digit cards on my easel. You could easily do this on an overhead as well, but... I was having tech issues that day... so quick and easy was my route. I read from this card and modeled each step. The light bulbs went off and my students were ready to tackle it again! They are loving it! 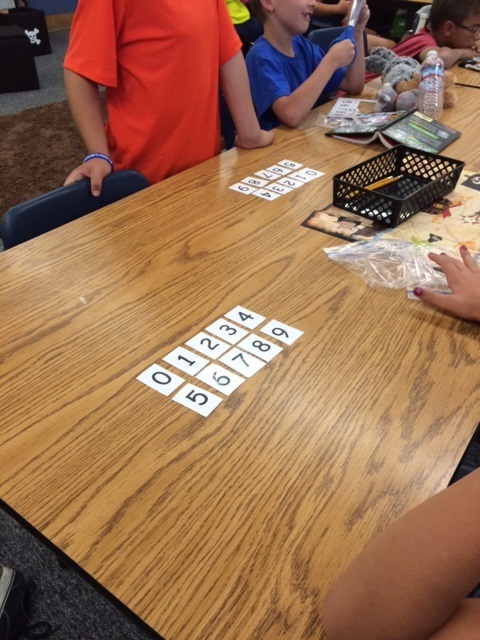 They ask to play this instead of some of our other math games during centers. 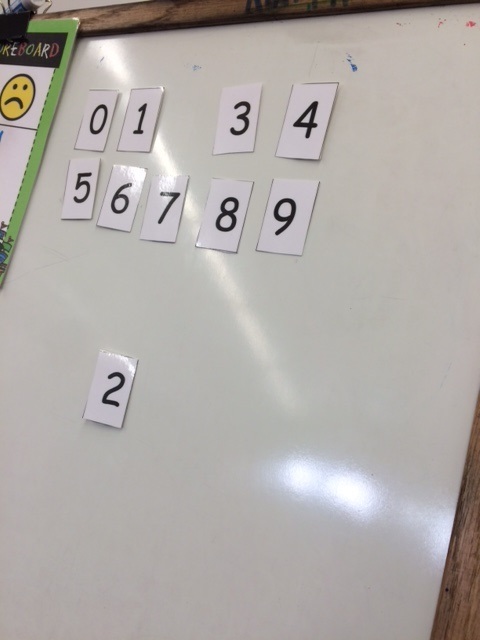 They even asked to use them during Fun Friday! 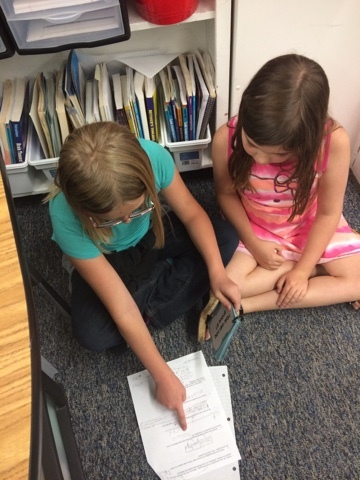 Some of the students are writing their own prompts now! 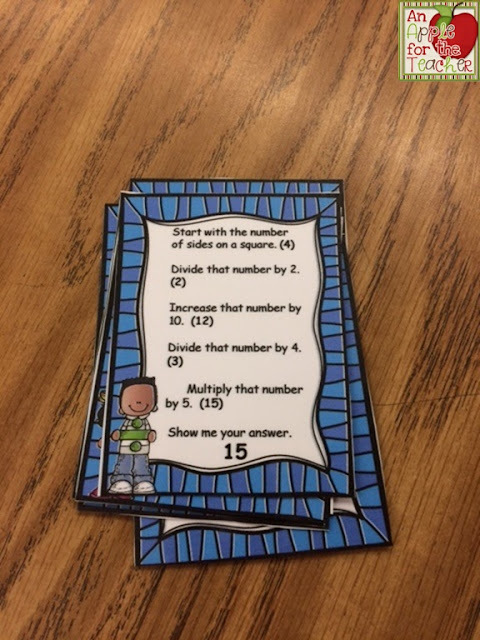 You can write your own prompts for your students to use, or you can buy my cards which feature 100 ready made prompts as well as editable cards. I have included digit cards and complete instructions as well. You can watch a video of the game in action here. 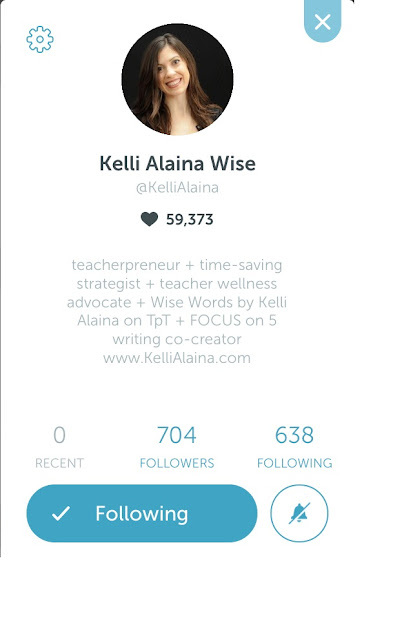 I did a periscope presentation using these that you can watch by clicking here. Have you implemented Mental Math in your classroom? I'd love to hear about it in the comments below or tag me on Twitter or Instagram. 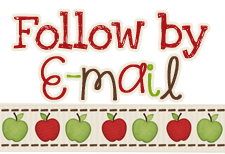 1,000 Blog Followers Giveaway! 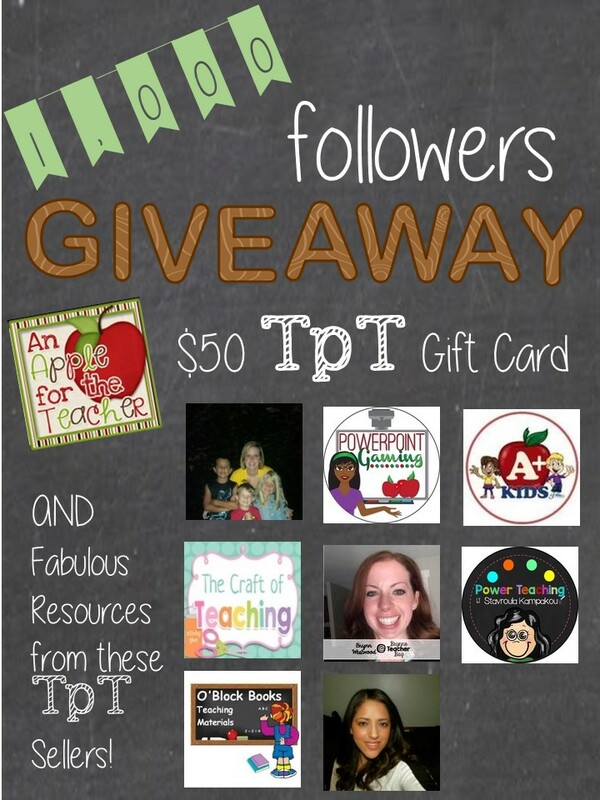 Win a $50 TpT Gift Card and More! 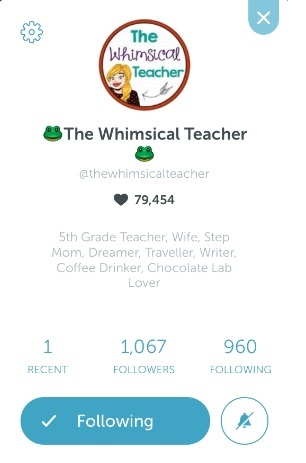 When I started this blogging journey a few years ago, I could hardly imagine having 1 follower (who wasn't related to me) much less 1,000! I am seriously humbled and amazed, and cannot even begin to tell you how much I appreciate your support! Every month I give away a $25 TpT gift card, but this month I am doubling it to $50!!! I also asked a few of my blogging friends to donate prizes from their store, and these amazing ladies were happy to help! 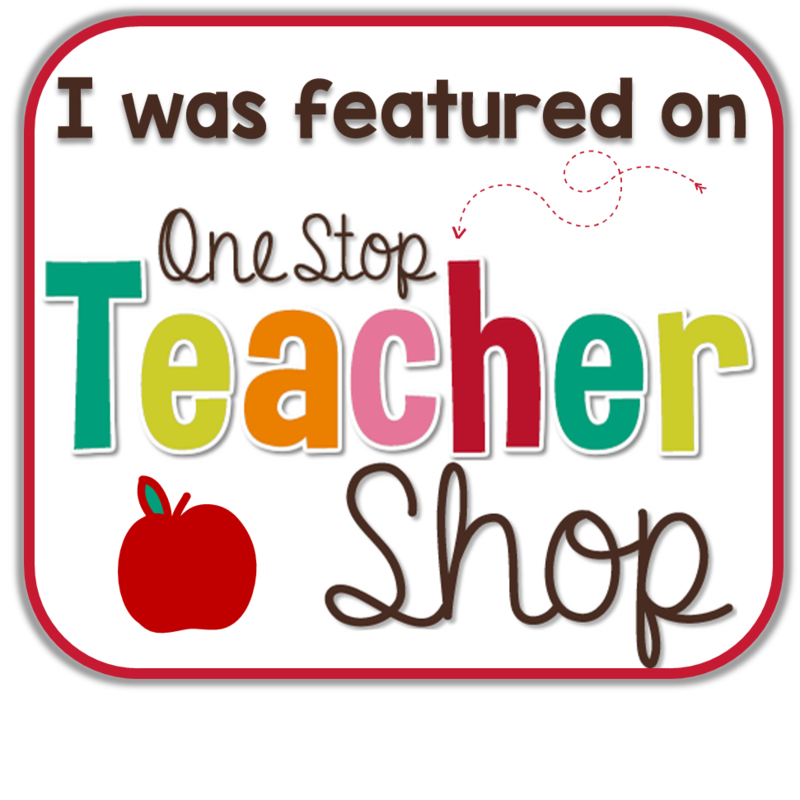 A $50 TpT Gift Card from me to spend however you would like on Teachers Pay Teachers.